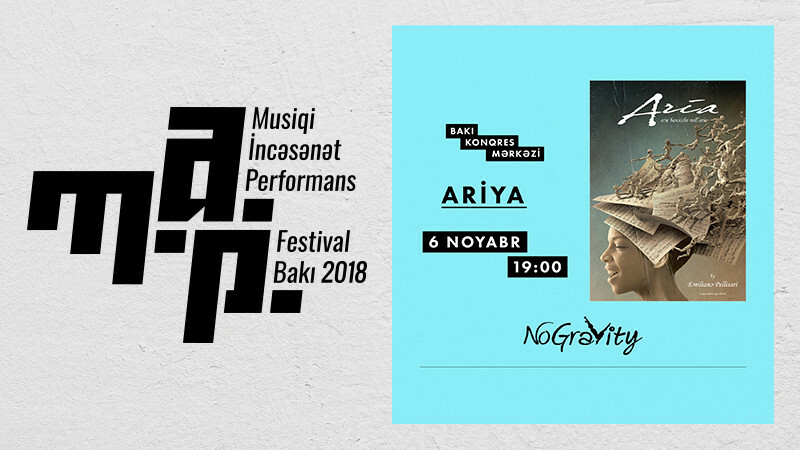 Aria in Baku Convention Center buy tickets online. Delivery of tickets for the event Aria. NoGravity Theatre has built its reputation on sending its performers soaring across the stage in elaborate costumes to create a visual tableau that defies logic and the laws of physics. The style of Emiliano Pellisari, the Artistic Director of the company, arises from studies in Hellenism and Renaissance, reflecting the great traditions of Italian Renaissance theatre of wonders — the days when schools of art born in Florence, Rome and Milan wisely used extraordinary machineries built by the great Italian artist-engineers, such as Bernard Buontalenti and Leonardo Da Vinci. Designated as a lyrical opera, Aria is a cross-show made of the elegance of costumes, the imagination of choreographies, poetry of music and beauty of singing, in which dancers, musicians, and singers play an equally important, central role. In the show you can expect Monteverdi, Vivaldi and Pergolesi’s arias combined with oversized human bumble bees, boats that sail across the heavens and bodies that run, climb and glide in a 360-degree orbit.